How to Buy The Right Electric Car Charger? It goes without saying that the obvious feature of a recharge is to suffuse the battery with charge when it has been drained and can no longer be used to power up an electric car. It is only natural and more sensible to install a system at your home that lets you recharge your electric car using 240 Volts as that is likely to make it more affordable. Essentially, when we buy any car that is electric, it can give you an impressive drive of 80 miles before the battery gets exhausted and this battery can be recharged in about 4 hours’ time. The Electric vehicle service equipment as it is popularly known can be installed easily in your home. This charger is essentially a medium sized box that is required to be mounted onto the wall. It also boasts of a chord and a plug that enables the charging of the electric car batteries. Buying a car charger or an EVSE as it is popularly known can be a fairly expensive affair and therefore, it is important that you make the right decision as it is easily considered as an investment. Given below are some important tips that will guide you in the process of purchasing the right car battery charger. Ideally, the length of the chord that connects the charger and the electric car should be a minimum of 15 feet and can be a maximum of 25 feet. Under any usual circumstance, when we buy any car, it is a common practice to have it parked in the garage. Therefore, from the nearest power source available in your home where the charger box will be mounted, the length of the charging chord should be enough to travel all the way till the garage and into the charging socket. This may sound like a no brainer, but there are quite a few people who tend to purchase their car battery charger only to realize that the chord is not long enough to reach the car in the first place. 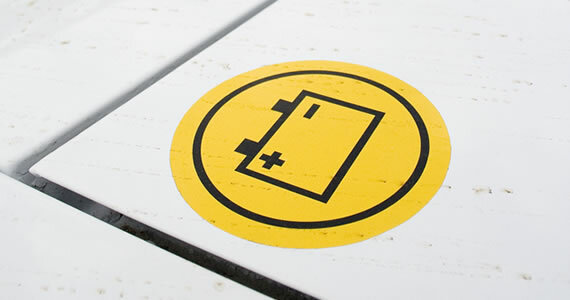 As a rule of thumb, your car battery must fulfil one but the most important feature of charging the car battery effectively. Usually, you are likely to come across extremely fancy features that may sound incredibly stunning to you, thus tempting you to purchase them at the blink of an eye. You must refrain from getting lured into this. While there is nothing wrong in purchasing a charger that possess Bluetooth features or WiFi, you must realize that these chargers are likely to burn a hole in your pocket and if these features do happen to get damaged, then you may have to go the extra mile to get it repaired. Instead, use your smartphone or tablet that has been designed for this purpose and buy a battery charger that is simple and one dimensional. The 30 amp level can be the yardstick by which you can charge your electric car. Therefore, when you buy the electric car charger it would be wise to look for this magic number as it can help you immensely in rapidly charging the car. 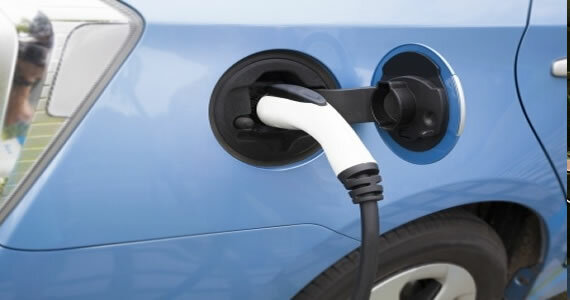 If you have only recently purchased your electric car, you may not require the high power in the initial months; however, the rate at which an electric car charges completely is synonymous with this amperage and this is true for most of the electric cars that are purchased at any given point of time. Author’s bio: Jonathan Cook is a freelance writer and encourages us to look carefully into the details before we buy any car. He has a formal degree in business management and his passion for cars led him to work at a dealership at a managerial position. Consumers seeking to reduce their impact on the environment can easily make changes by taking into account various electric vehicles now on the market. Most car manufacturers offer at least one model, vehicles that have no emissions and offer the equivalent of greater than 100 mpg driving. Going electric may be advantageous to you, so consider the following when exploring this new vehicle purchase option to achieve your green living goals. 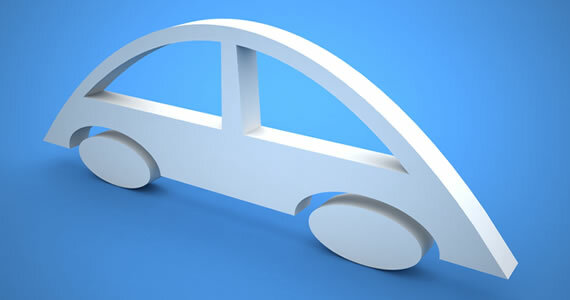 To choose electric vehicle means to define an electric vehicle. The EV category is broad and includes all vehicles that have at least partial electric generating capabilities including hybrids, hydrogen fuel cell and plug-in hybrid electric vehicles. Pure electric vehicles run only electricity only and are charged in to replenish the energy source. Such vehicles include the Tesla Roadster, the battery electric Ford Focus, CODA Sedan, Mitsubishi i-MieV, Toyota RAV4 EV and the Fiat 500E. Some models are available in limited markets, such as California, while others have a broader distribution range. It goes without saying that EVs are environmentally friendly vehicles with just a small impact on the environment. That impact includes the energy they derive from coal-generated power plants and the eventual disposal of worn out parts. The Environmental Protection Agency notes that EVs convert approximately 59 to 62 percent of its energy used to power the wheels compared with 17 to 21 percent for conventional gasoline engines. Electricity is a domestic energy source and can be derived from coal, solar, nuclear, hydro and wind generating power sources. To paint an accurate picture of EVs, consumers must be aware of certain shortcomings that must be weighed when exploring EV purchase. Those shortcomings include vehicle range, recharge times, battery cost and the weight of electric vehicles. Most EVs have a driving range of at least 70 miles to no more than 100 miles. One model, the pricey Tesla S, has a range of more than 250 miles. Recharge times can interrupt your trip and take four to eight hours to complete. Faster recharges with a quick charge recharger can replenish your battery to 80 percent charge capacity in just 20 to 30 minutes. The limited range of such vehicles produces what is called "range anxiety" for potential buyers, enough to chase many people away from considering EVs. Because EVs are powered by technologically advanced and expensive electric propulsion systems that store energy in lithium-ion or similar batteries, these cars cost far more than equivalent gas-powered models. Those costs are passed along to the consumer, but can be partially defrayed by taking a federal tax credit of up to $7,500 per vehicle. Also, the bulkier battery systems mean that cabin or storage room, sometimes both, are restricted by the battery pack’s intrusion into the car. While an EV may be desirable for some consumers, car shoppers can eliminate range anxiety and achieve a more positive environmental impact by choosing one of various hybrid models available. Such models can tap a back up energy source, an internal combustion engine, when needed and effectively extend range by hundreds of miles. Consumers still get available electric-only power, producing a net reduction in emissions and fuel use compared to conventional cars. Models to consider include the Toyota Prius, Chevrolet Volt, Ford Fusion Energi, Toyota Camry Hybrid, Ford C-MAX, Hyundai Sonata Hybrid, Kia Optima Hybrid, Chevrolet Malibu ECO and Cadillac ELR. The long range prospects for EVs improves as these cars gain wider adoption and costs begin to fall as such vehicles become mass produced. Volume production spreads costs across more models, enabling car manufacturers to hold prices steady or reduce them as demand increases and technology improves. As that happens green living will become more commonplace, enabling all of us to enjoy a cleaner environment. Neil Dunsmore is a consumer energy expert, helping ordinary Americans secure extraordinary deals on their energy bills. Visit Electric.com for more information. 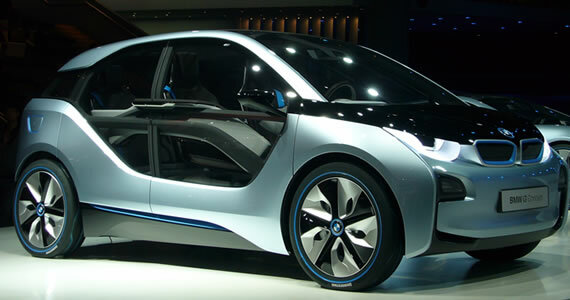 The Los Angeles Auto Show saw BMW unveil their latest i-series, the i3 Concept Coupe and the i8 Spyder Concept. Their i-series, like their 5, 6, 7 and X-drive series, is built around an overall concept of driving. Unlike any of their predecessors, the i-series is focused on electric motors. In a Forbes Magazine interview, Adrian Van Hooydonk, head of design at BMW, MINI and Rolls-Royce, was quoted as saying: “Our goal is to show that a premium brand can also be electric. We want to show that this new type of mobility can be fun.” BMW doesn’t just want to produce cars that are better for the environment; they want to enact a paradigm shift in electric cars. The seeds of this change of attitudes toward electric cars have already been sown and can be seen in the used BMW market. As with many brands, used BMWs that are hybrids are resold for higher prices than traditional used cars. The used car market has put a premium on used BMW hybrids because it recognizes the value of hybrid cars as well as the importance of reducing one’s carbon footprint. The i-series is expected to have a similar higher used value in the future. So what makes them so special? A true electric car, the i3 offers drivers three different operation modes: Comfort, Eco Pro and Eco Pro +. These options determine the performance and range of the i3. In Comfort mode the range is expected to be around 100 miles with a 20 percent increase using Eco Pro, and a further increase with Eco Pro +. Among the many things that set the i3 apart are the materials that it uses. The cabin uses carbon fiber reinforced plastic that is lighter than steel yet stronger. This allows for an elimination of the B beam (the vertical truss in the middle) and a car much sturdier than most people expect from a plug-in electric. The drive train is made of aluminum while the inside is composed of leather, wool, wood and other renewable materials. And it wouldn’t be a car of the future if it didn’t have cutting-edge technology. The i3 boasts two high-tech screens, one in front of the steering wheel and another in the middle of the dash. While the screens are nice, the real advancement is in the BMW I ConnectedDrive, which displays infotainment, navigation (showing you the range of the three drive modes as well), pull contacts, messages and schedules from a wirelessly connected smartphone that in turn makes suggestions as to where and when to recharge the i3. If you’re not ready for an all-electric car because you like the performance and power of a traditional car, the i8 is for you. With an estimated 78-mpg and a 0-60 time of 4.5 seconds, i8 delivers speed, drivability and lower carbon emissions. It has an electric plug-in motor in the front and a 1.5 liter 3 cylinder engine in the back producing a total output of 349 HP. It uses similar materials as the i3, making it lighter and stronger than traditional cars. Also, keeping with Hooydonk’s vision, it has futuristic styling that’s as fun to look at as it is to drive. Hybrid vehicles continue to grow in importance, offering consumers the best of two possible worlds: vehicle electrification and extended range. By making use of electric motors and a gasoline engine, a hybrid electric vehicle ensures that you can take that long trip without having to plug-in someplace and wait hours for a recharge. The Toyota Prius is synonymous with "hybrid," but there are other models for you to consider. Read on for tips on how to buy a hybrid electric vehicle, representing one of the most fuel efficient and cleanest car segments sold today. What is a hybrid vehicle? Well, for starters, it is officially called a hybrid electric vehicle, one of several types of vehicles that offer at least some kind of vehicle electrification. All hybrids make use of two fuel systems. Today, those systems are a gas-powered internal combustion engine and electric motors. The gas engine is paired with a transmission to turn the wheels. The electric motor may make use of a generator and regenerative braking to produce electricity that is sent to and stored in a battery system. Such systems original used nickel-metal hydride (NiMH) batteries, but in recent years most manufacturers have switched to lithium-ion (li-ion) or lithium-polymer (li-poly) batteries that are lighter weight and more efficient. Traditional hybrid vehicles receive electricity onboard, with no need to plug-in to an outlet to draw current. Today, your hybrid vehicle options have expanded as there are models that can be plugged in. Models, including the Chevrolet Volt, the Ford C-MAX Energi and the Toyota Prius Plug-In Hybrid, do plug in and offer an advantage of running on electric-only power longer than traditional hybrids. If your trips are mostly local, you’ll put some serious space between gas station visits, lowering your fuel costs and reducing the amount of emissions dumped into the air. Another advantage of a plug-in vehicle is that there are tax deduction benefits offered, something that traditional hybrids no longer have. Your tax benefit is determined by the federal government and depends largely on the vehicle you select as well as your tax bracket. Buy a Chevrolet Volt and you may be eligible for a $7,500 tax credit; with the PHEV Prius, your tax benefit is up to $2,500. State and local benefits may also be available. When buying a hybrid, you’ll pay more for this vehicle then you would for a comparably equipped gasoline model. The difference is typically from $3,000, but you may notice cars that are priced at least $5,000 higher. What you need to do here is compare equipment levels. For instance, the Ford Fusion Hybrid comes in about $8,000 more than the base Fusion model. On closer inspection the difference is about $2,500 as the Fusion Hybrid offers a trim level comparable to the Fusion SEL. 15,000 miles divided by 26 mpg equals 577 gallons. Multiply 577 by $3.50 per gallon and your annual fuel costs are $2,020. With the Fusion Hybrid you’ll divide 15,000 by 39 and get 385 gallons. Multiply 385 by $3.50 and your annual fuel costs are $1,348. That means you’ll save $672 per year. If your hybrid has a $5,000 price premium than it will take you nearly 7 and one-half years to recoup your cost. Clearly, buy a hybrid if you expect to keep it at least that long and you think that gas prices will only go higher. Most hybrid models come in smaller sizes, but there are some vehicles such as the full-size Chevrolet Tahoe SUV and the big Lexus LS 600h L sedan that are also sold. Familiarize yourself with the various models offered and consider only those that meet your needs. Some hybrid models lose as much as 20 percent of trunk storage capacity as the battery pack juts into the trunk. Other hybrids take away rear seating space for the same reason. Most hybrids are paired with a single-speed transmission, although some have regular automatic or continuously variable transmissions. You will want to test drive the models that interest you, taking it out on the open road and driving it extensively around town. Learn if the power offered is sufficient for your needs — hybrids get horsepower from both energy sources, therefore you won’t lack the get up and go to get moving with such vehicles. Every hybrid vehicle comes with a hybrid warranty, covering the electrical parts including motors, generators and battery packs. By law, the minimum warranty for the battery system alone is 8 years or 100,000 miles, whichever comes first. Some states, such as California and New Jersey, mandate a 10-year or 150,000 mile warranty. In any case, familiarize yourself with the maintenance procedures for a hybrid and follow these carefully, to ensure that you enjoy the maximum benefit of owning one. Chris Joseph is a freelance writer and media consultant currently working with AutoFair.